Kamala Harris has said The Equal Rights Amendment will be a priority if she wins in 2020 . 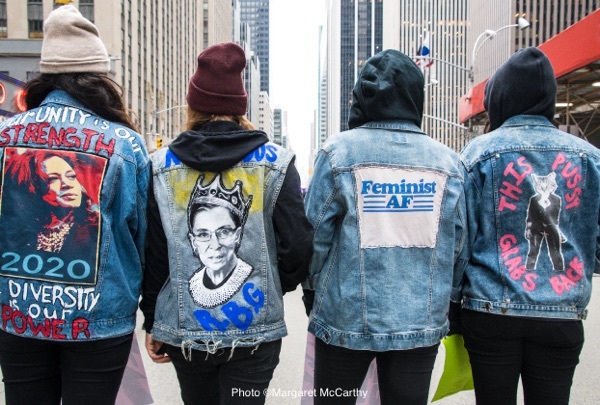 The ERA Coalition has asked every candidate to make The Equal Rights Amendment part of their platform. These two quotes seem apt as we contemplate the march of history itself and women’s seemingly continual march towards full human equality. Speech in Cork, Ireland, Jan. 21, 1885. If you’d like to celebrate women’s equality, you can donate to the ERA Coalition here. Once handed out on street corners, it seemed right to update the broadside* form for our electronic age's street corner - the web. Welcome to A VISION AND A VERSE, an e-Broadside. Four to six times a year, I'll showcase a featured image and poem of mine, matching them on a seasonal or timely theme. *A broadside is a large sheet of paper printed on one side only. Historically, broadsides were posters, announcing events or proclamations, or simply advertisements. Today, broadside printing is done by many smaller printers and publishers as a fine art variant, with poems often being available as broadsides, intended to be framed and hung on the wall.